Fl-utter-ances is an ongoing body of original work created by Jane Pitt since 2009. 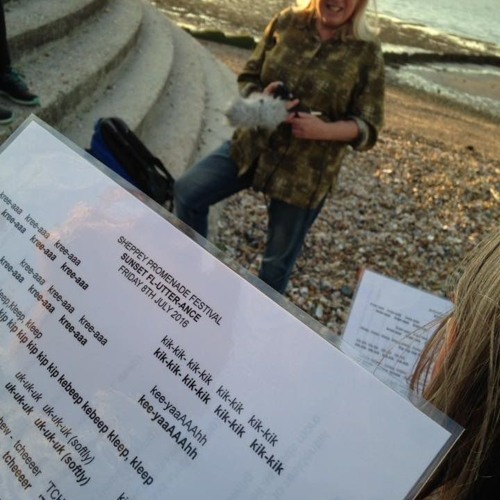 Working with the public in various settings and environments Jane devises & co-devises phonetic interpretations of the immediate ephemeral soundscape (a combination of bird, wildlife, landscape & ambient sounds) which are then vocalised & recorded in-situ by Jane & the participants. Sometimes 'Soundmaps' or graphic notations of the soundscape accompany these 'Fl-utter-ances' which can be used as scores to improvise vocal &/or musical performances from later & elsewhere.